(Jakarta, May 21th 2014) - As an up and coming area for vast business and housing developments, Archipelago International is soon to introduce the Aston brand to the burgeoning city of Karawaci, Tangerang. In recent years, Tangerang has seen a rush of new developments popping up across the city, bringing with it more and more business and leisure tourists visiting the prospering area. Tangerang is part of the Indonesian province of Banten, the bordering province west of Jakarta, and so its close proximity to the capital makes it a great destination for weekend breaks and longer holidays to escape the big city. Located within the “Golden Triangle” of Tangerang (close to Lippo Karawaci, Summarecon and Paramount Serpong) the Aston Karawaci City Hotel will be an exclusive condotel offering situated in a mixed-use development property of apartments and an expansive shopping center. 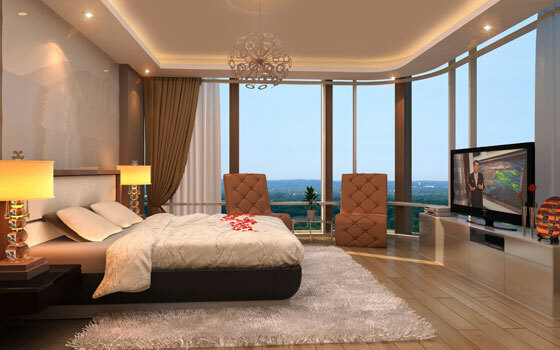 The hotel will feature 252 rooms and suites, together with a number of convenient facilities including 10 meeting rooms, a coffee shop, a restaurant, a lobby lounge, a swimming pool as well as a unique sky terrace on the 9th floor. “At Archipelago International, we are thrilled to be increasing our presence in Karawaci, introducing our successful Aston brand to this up and coming area. Aston Karawaci City Hotel will be a great addition to our Aston City collection, and we believe the hotel will meet the increasing demand for quality, budget hotels in the growing city. You can follow the hotel's progress at our website: www.Aston-International.com” said Norbert Vas, Archipelago International's VP Sales & Marketing. 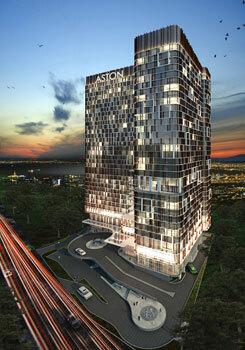 Exterior of Aston Karawaci City Hotel - Jakarta. Interior of Aston Karawaci City Hotel – Jakarta.